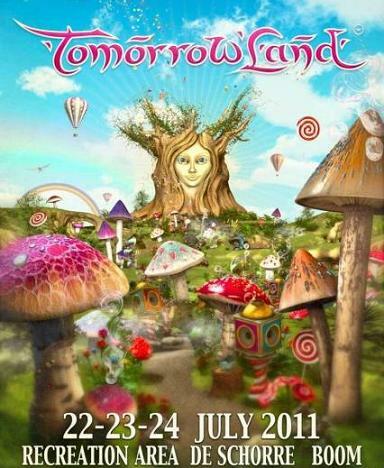 TOMORROWLAND 22-23-24 JULY 2011, BELGIUM [LIVE SESSIONS & DOWNLOAD] | POR QUE SIEMPRE AL SUR??? Martin Solveig - Live @ Tomorrowland 2011, Belgium 2011.07.23. Dimitri Vegas & Like Mike - Live @ Tomorrowland 2011, Belgium 2011.07.23. Hardwell - Live @ Tomorrowland 2011, Belgium 2011.07.23. John Dahlbäck - Live @ Tomorrowland 2011, Belgium 2011.07.23. Arno Cost - Live @ Tomorrowland 2011, Belgium 2011.07.22. Kaskade - Live @ Tomorrowland 2011, Belgium 2011.07.22. Chuckie - Live @ Tomorrowland 2011, Belgium 2011.07.24. Norman Doray - Live @ Tomorrowland 2011, Belgium 2011.07.24. Laidback Luke - Live @ Tomorrowland 2011, Belgium 2011.07.24. Carl Cox - Live @ Tomorrowland 2011, Belgium 2011.07.22. Fedde Le Grand - Live @ Tomorrowland 2011, Belgium 2011.07.22. Green Velvet - Live @ Tomorrowland 2011, Belgium 2011.07.22. Bingo Players - Live @ Tomorrowland 2011, Belgium 2011.07.22. Steve Aoki - Live @ Tomorrowland 2011, Belgium 2011.07.23. Joachim Garraud - Live @ Tomorrowland 2011, Belgium 2011.07.23. Wolfgang Gartner - Live @ Tomorrowland 2011, Belgium 2011.07.24. Third Party - Live @ Tomorrowland 2011, Belgium 2011.07.24.